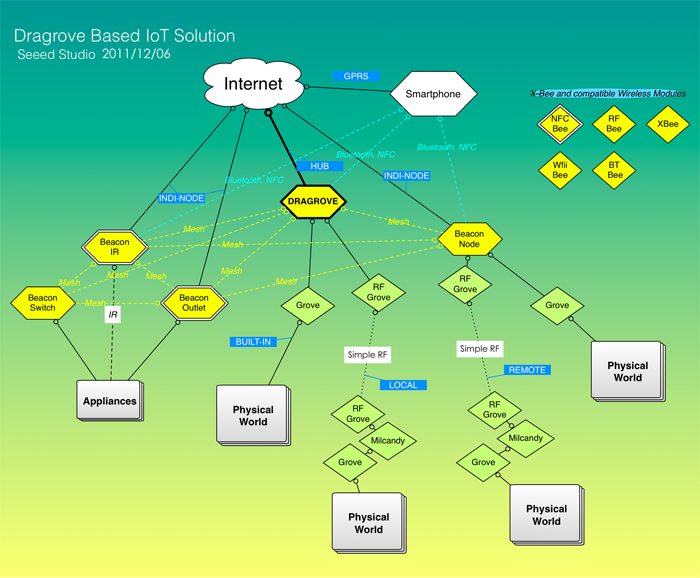 Dragrove is an open source based generic gateway for internet of things. It combines Dragino (Easy Internet Access, powerful CPU, Linux system), Arduino compatible interface board (monitoring and controlling the physical world), and RF networks like X-Bee. Dragino MS12 is a Wi-Fi/linux enabled appliance for MCU projects. The goal of the Dragino is to solve the connectivity problem and greatly enhance microcontroller products. The Arduino compatible daughter board provides plug and play interface like Grove, it also provides 8 IO terminals for developers to easily create Internet of things projects, Robotics, Smart Home, Wireless Sensor Networks and many beyond. Note：The type of the power adapter is NEMA 1-15, it need an additional adapter for use in Europe.